As we move through 2018, finding the best forex broker is critical to your success in the international trading scene. Each individual will have specific strategies that require certain platforms, tools and research methods that must be met for you to succeed. Having the ability to understand your investment strategy will help you ascertain which broker is the best forex broker to help you achieve ultimate success. The Forex Dominance team has put together a guide of the best forex brokers available to investors in the USA and internationally to help you make a decision that best suits your needs. The Forex trading market is one of the most highly competitive industries in the world, and online brokers are in daily competition to offer potential traders great spreads and features as a means to encourage Forex traders to sign up. To help make your job easier our team of experts have collated a list of the best Forex brokers in 2018. Our broker reviews will outline the most important features offered by each broker and the potential benefits of selecting one forex trader over another. Forex, also referred to as the foreign exchange, FX or currency trading is a decentralized global marketplace where all the world’s currencies are available for trade. With daily trading on the forex market exceeding $5 trillion, it is the largest marketplace in the world. What is a forex transaction? Strangely enough, most of us have been involved in a forex transaction at some point of our lives. Remember traveling to the USA from Europe a few years ago? Well, you likely converted your US dollars for pounds. When you did this, the exchange rate between the two currencies dictated how many dollars you got for your pounds. This exchange rate is in a state of continual fluctuation and chances are if you’d done it the day before you’d have received more or less money depending on which currency was stronger at the time. Much the same as with stocks, you can trade currency based on your own opinion on what you think its value is. If you are of the opinion that a specific currency will rise in value then you can buy it. If you think a specific currency is about to drop, then you can sell it. Maybe you hear that Australia is going to cease its live trade export to China and as a result their dollar is going to drop against the Yen. You can then sell the AUD in the hope of making a profit. All forex trades involve two currencies because you are trading on the value of a currency against another. This is why you’ll see pairings such as AUD/YEN. When you see a pairing such as this and a price quoted on a forex trading platform, that price is how much one AUD is worth in YEN. You’ll always see two prices because one is the buy and the other the sell. The margin between the two is known as the spread. To make money with forex you’ll need to cover the spread and then any gain thereafter is the profit you have made. Simple! If you are keen to enter into the wonderful world of foreign exchange, there is a crucial decision that you need to make. In order to engage in forex trading, you’ll need to gain access to the marketplace via a credible broker service. The best forex brokers in the world offer considerable value and perks due to the high level of competition in this industry. With such competition, comes a great level of choice, and the decision that you make in choosing the best forex broker for your needs is one that will likely lead you to success or failure. Luckily we are here to provide you with forex reviews that will assist you in selecting the most suitable broker. Our site provides broker reviews that will assist you in selecting the best beginner site or the best broker for day trading site where your level of experience is much greater. With a team of experts that are well-equipped in the exciting world of foreign exchange you are that much closer to making it big on the currency trading marketplace. Below are our forex reviews of what we consider to be the 10 best forex brokers for potential traders looking to enter the international trading market. Registered and based in Limassol, Cyprus, XM is regulated by CySec and the FCA. Utilising the Metatrader4 trading platform, this relatively new player to the forex broker market has quickly started turning heads. 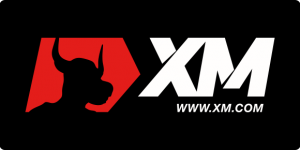 Offering great customer service to beginner traders, XM asks for just a $5 minimum deposit for beginners and provides a free demo account with no expiration date for those seeking to get comfortable with the site prior to laying down their hard-earned coin. A great forex broker site for the beginner trader. 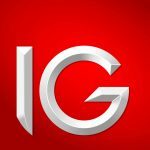 One of the most recognised Forex brokers, IG has been in the trade industry for over 40 years. The company offers access to forex, indices, equities, cryptocurrency, bonds and much more. IG is the largest CFD dealer within the United Kingdom. Established in 2007, UFX is a Cyprus-based investment bank regulated by Cysec. 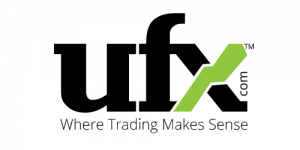 While unable to accept U.S traders, UFXMarkets is authorised to operate across 30-member states of the EEA making it highly accessible to European traders. Offering advanced chart capabilities in both desktop and web platforms featuring many channels of research content and trading suggestions, Forex.com is the perfect choice of broker for both beginners and advanced traders. Beginners have the option to set up a mini account with a small deposit of ₤250. Forex.com also offers cryptocurrency trading options to both UK and USA traders. One of the fastest growing brokers in the industry, Forex Time is operated by a highly regarded management team with over 30 years of experience in currency trading. Recently exceeding 500,000 clients despite only being in operation for 5 years, Forex Time is growing in popularity at an alarming rate. Featuring more than 250 trading instruments including currency pairs, CFDs, ETFs and commodities, and offering the MetaTrader trading platforms to their clientele, this is a broker that is very much worth considering. Founded in 1999, FXPrimus is in Cyprus and is regulated by CySec. 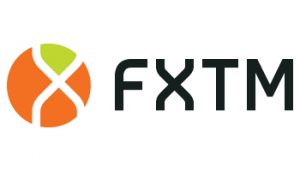 Joining gives the trader access to a demo account to gain practice with the highly desirable MetaTrader4 trading platform that FXPrimus offers to its clientele. Needing only a $100 deposit, trading is available in mini and micro lots. 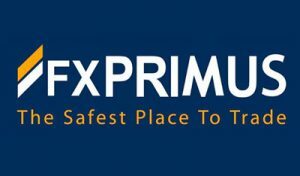 FX primus features a healthy number of currency pairings and is also involved in CFD trading in indices, stocks and commodities. 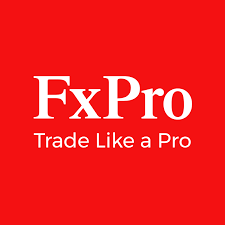 FxPro was founded in the UK in 2006 and is one of the most highly-regarded forex brokers in the industry. One of the largest global brokers, they are regulated by 5 regulatory bodies worldwide. While forex is their main product they also offer metals, shares, indices and futures. Clients are given access to four trading platforms including MetaTrader4, MT5 and cTrader. They have an impressive customer service representative team who can accommodate 18 different languages. Considered one of the major players in the forex industry, FXCM has been the recipient of many awards recognizing their fantastic innovate operating procedures and highly respected customer service satisfaction levels. They offer three types of trading level accounts and more than 50 currency trading pairs. 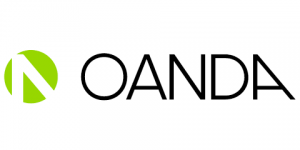 Founded in 1996, Oanda is an Australian-based forex broker that is regulated by ASIC. One of the first forex firms to enter the trading market, it is also one of the most well-known and highly respected. Oanda offers traders a free demo account for practice trading and requires no minimum deposit or minimum trade amount to engage in forex trading. With over 60 currency pairs offered and over 30 CFDs they are a highly versatile forex brokage firm. Contains only a minimal product portfolio of Forex and CFDs. For traders who are looking for a broker that provides a large volume of instruments and asset classes. 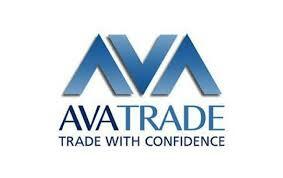 AvaTrade possesses a trading package that is amazingly diverse and contains many valuable advanced strategies. Additionally, AvaTrade clients have access to the extremely popular ZuluTrade system. Highly regulated, AvaTrade is not only great for the advanced trader but their outstanding customer service and trade interface makes them a great choice for the beginner trader as well. Possessing an easy to use trading platform which provides their clients with multi-asset capability, Plus500 is a regulated by CySec and is renowned for their impressive customer service satisfaction record. Offering two account services; a demo account and a live account with a minimum deposit of just $200. Only trades in CFDs, whose major negative is that when trading in CFDs, your capital is always at risk. Based in Limassol, Cyprus, eToro is highly respected and regarded as one of the top social trading networks online. 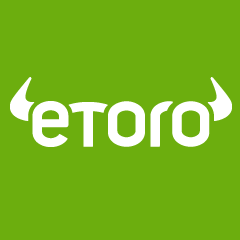 Regulated by CySec, eToro currently has over 5 million users registered from over 165 countries. Their clientele has access to forex, indices CFDs and commodities. Their trading platform is fantastic, easy to use and provides access to all their services across all devices. They provide access to a demo account and charge no commission on trades making them a highly desirable broker to many. 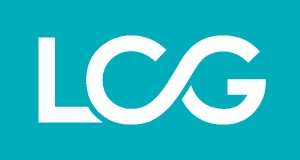 A proprietary trading group that began operations in 1996, London Capital Group are an outstanding forex broker that is regulated and licensed by the FCA. London Capital Group offers the very functional Metatrader 4 trading platform which supports access from both desktops and mobile. Providing customers with a free demo account to test their platform, they offer their clientele asset choices of 39 currency pairs, 12 indices and 15 commodities. 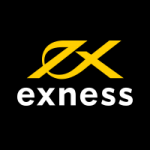 Established in 2008, Exness is a forex brokerage that was founded in St.Petersburg, Russia and is now based in Cyprus. Regulated by Cysec, CRFIN, BaFin, AFM, Banque de France, CNMV, CONSOB, FI and KNF. 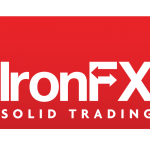 IronFX was founded in 2010 and is based in Cyprus. It is regulated by FCA, Cysec and ASIC and registered with many other regulatory agencies. The USA has one of the most active trading communities, yet many of the best forex brokers do not provide services to the US region. However, there are several quality forex brokerage firms who do. Below is a list of the 5 who we consider to be the pick of the bunch. Forex.com is one of the largest broker firms in the USA. Owned and managed by GAIN capital, they are highly regarded by most traders for their integrity and innovation. FXCM is currently vying with Forex.com for the lead in the US forex market share. Based in the USA with offices in New York, Texas and California, it is one of the best forex brokers available to US traders. Founded in 2009, and operating out of the UK, Israel and Cyprus and subsequently regulated by three separate regulatory bodies, plus 500 is ideal experienced United States trader. One of the first forex brokers in existence, Oanda is highly respected and wildly popular amongst forex traders. That brokerage site that you choose must offer high levels of security. This is usually indicated by notification that the site features Secure Sockets Layer (SSL) encryption. This is the very same encryption software used by high-security domains such as those used by banks. If you do not see evidence that SSL encryption is used by the forex broker site that you are investigated then the site should be avoided. When considering any broker it is essential that they are regulated by an appropriate body. The best forex brokers will be registered with an appropriate regulatory body and their ‘status of regulation’ will be set as current. The appropriate regulatory body will differ depending on location. For example in the UK the brokerage platform must be approved by the Financial Conduct Authority (FCA). While in the USA, sites are governed by the National Futures Association (NFA) and the U.S Commodity Futures Trading Commission (CMTC). It is essential that the most reputable forex broker sites offer many modes of support including telephone support, email and live chat. This is vital where a user has questions about the service they have paid to use. Where customer support is inadequate this is a warning sign that the site may not be trustworthy. A fundamental aspect of forex trading that needs to be considered is identifying the commission charged by the broker on trades. Therefore, traders need to analyze and measure the types of commission and the size to determine the costs and potential profit of trading with the specific broker. Most commonly, commissions are paid in relation to the spread. The broker will sell a currency to a trader at an ‘ask’ price and buy the currency at a lower ‘bid’ price. This difference is known as the spread and can vary between brokers. Put simply, where the spread is low the result is that a lower commission is taken during each trade. It needs to be mentioned that a credible broker is generally one that provides tight spreads when dealing with the most popular forex pairings such as the dollar/euro. It is important to ascertain which forex trading brokers offer the lowest spreads for the trader to reap maximum benefits. Reload bonuses – to give you an incentive to make another deposit into your trading account. Cash back bonuses – This bonus enables you to claim back a certain percentage of any losses you have accrued over a certain period of time. Referral bonuses – This allows a free bonus to a client who refers any friends, colleagues or associates to the brokerage firm. Make sure you investigate what bonuses your desired forex bonus offers to you prior to signing up. Many of the best forex brokers offer free education to their clients. This is a highly advantageous feature as it provides the trader with the opportunity to further develop a strategy and to better understand the forex trading game. You’ll want to sign up with a forex brokerage that provides training over those who merely provide the bare basics. In the modern world, there is a greater need to be able to access the currency marketplace while on the move. This affords you the ability to make trades at any time and take advantage of changes on the marketplace that may yield a considerable profit. The best forex broker firms provide their clients with access to mobile apps that enable trading while on the go. It is a great benefit to sign up with one of these brokerages to gain an advantage in trading. The best forex broker will allow the trader flexibility when it comes to opening an account relating to the amount that they want to trade. Standard account options usually include: beginner accounts, mini accounts, professional accounts and VIP accounts. The best forex brokers will provide a range of options for traders to make deposits and withdrawals. Most commonly these include the use of credit cards, Paypal and direct bank transfer options. Where brokers do not offer flexible payment options for traders it is best to avoid signing up as this is a sign that the security of the site may be inadequate. This one pretty much goes without saying but the best forex broker sites will ensure that the user is provided with a large number of pairs to choose from. While the most commonly traded pairings will likely be present on all broker sites, such as the dollar/euro, many others including the dollar/yen should be readily available for trade. The reason that this is crucial is that there needs to be the option for the trader to mix up their trading to avoid experiencing volatility with a specific currency pairing. A key factor in choosing an appropriate forex broker is that there must be an affordable option to deposit a small amount upon signing up. This supports the major advantage of trading forex, that it is available to traders who may not have a wealth of money. Many online brokers offer entry to their site for as little as 100 dollars. The most reputable sites with have flexible options when signing up that appeal to all levels of forex trader. To make it easy for clients, the type of trading platform used by a forex broker and the ease in following the trade information is crucial. The best trading software is easy to follow, and comfortable for traders to navigate. Where the trading platform is sub-standard there is the risk that an error could be made by a trader or that a trader may be confused by the navigation and therefore miss some vital opportunities to make money. Many of the best forex brokers offer access to a demo account. This is an extremely attractive option for beginner traders and experienced traders alike as it provides the potential trader with the opportunity to understand how forex works through practicing while also allowing the more experienced trader the chance to understand how the site works prior to outlaying any real funds. One of the most crucial factors in selecting the best forex broker for you is ascertaining what the best trading software is for you. Identifying the best trading platform to suit your specific needs will make the decision on which forex broker to sign up with that much easier. Because the forex market is entirely electronic, you’ll need to trade through a forex broker using a trading platform. This is because there is no central marketplace which makes the value of finding the best forex broker incredibly important. Highly competitive, due to the number of brokers available, the advantage of such competition lies in the added value that they provide to potential customers in order to build their clientele – namely high-quality trading platforms and analysis tools. Depending on your needs, the best trading platform for day traders and casual traders can be a complicated decision. Below is a list of what we consider to be the best trading software for beginners and experienced traders. AvaTrade offers MetaTrader 4, a trading platform well-known for its reliability and ease of use. It contains an auto trading feature that operates using pre-programmed strategies making it ideal for beginners. You only require an opening deposit of $100 making it a low-risk option for those not yet experienced in forex trading. For those looking for the best trading software relating to Forex CFD, Markets.com is the perfect solution. Awarded the ‘Best Forex Trading Platform’ of 2017, Markets.com offers multiple trading tools and affords the trader the ability to trade anywhere with their platform available as an app on both IOS and Android. Allowing for traders to access hundreds of financial markets including forex, indices and shares and commodities, xStation is a wonderful trading platform for the more experienced trader. Easier to use, allowing access to a demo account and possessing a high level of functionality, this trading platform is ideal for those based in the United Kingdom. An incredibly large Mt4 broker, because of its size Pepperstone is able to offer traders with low-pricing forex trading capabilities. Its wonderful trading platform is reliable and well-tested and capable of performing thousands of transaction each week. An account is available from just $100 and they provide easy payment options. 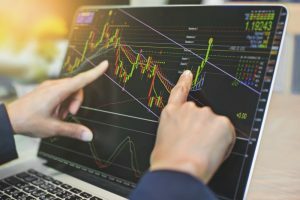 With developing the best forex broker strategy, much like when it comes to making a success out of anything in life, it is crucial to do your research. Thankfully, we have done some of the research for you that will make your job easier when it comes to undertaking the strategy that will hopefully lead you to financial success. Below are the factors we consider most important when planning your forex strategy. As discussed above, there are many sites claiming to be the best forex broker in 2018, or some such claim, so it is important to know what you are looking for to ensure you sign up with a trustworthy site. Basically, the last thing you want to do is to sign up with a broker and then watch your money disappear! Reputable brokers have a long history of success and provide customers with expertise and resources that will place their clients in a great position to succeed. Look at the spreads on offer and ensure the best forex broker for you provides a spread that is low. The best forex brokers will offer a spread that is as low as a single pip on a major currency pairing like the dollar/euro which is likely to be a pairing you’ll trade often. An important decision you’ll need to make is the trade size that you’ll use while buying and selling currencies. There are generally four major trade sizes available. The first is a nano lot that represents 100 units of base currency. The second is a micro lot that represents 1000 units. A third accounts for 10,000 units while the fourth represents 100,000 units of base currency. It is important to note that not every broker will offer the nano lot size so you’ll need to find one that does. You’ll want to ensure that you limit your risk by signing with a broker that offers guaranteed stops. Not all forex brokers offer stop orders so you’ll want to find one that does and investigate at what cost they offer this service. You’ll want to make sure that the forex broker that you join possesses an effective trading system. Many of the best forex brokers allow the trader to directly trade from a chart using a trading platform. Ensure that the broker you join provides access to a suitable trading platform with adequate charts and research. As forex trading systems can be somewhat complicated especially to the beginner, it is absolutely essential to gain access to a demo account so that you can use the trading platforms that the broker offers without the use of real funds. Normally, you’ll be afforded a month to test them in order to learn the system. At the outset it is important to identify whether you’ll only be trading forex or whether you also have an interest in stocks and commodities. If so, you’ll want to consider a broker that can grant you access to these markets in addition to the foreign exchange marketplace. We hope that this page has been enlightening in developing your understanding of the best forex brokers available for entry in the currency exchange marketplace. Explore ForexDominance for other great pages relating to foreign exchange.